Get Your Choices Now! Direct Developer Prices & Sales Package! [/vc_column_text][vc_column_text]Located in the heart of Liverpool City Centre, Epic Hotel & Residence is a 16 storey mixed development comprising of 306 bed hotels, 50 exclusive residential apartments with associated gym, spa, restaurant, conferencing/banqueting facilities, entrepreneurial hub, sky lounge and associated access, servicing basement parking and landscaping. Why Invest/Buy UK Liverpool Hotel Suites? Liverpool is the UK’s 5th most visited city by overseas tourists. Liverpool hotel growth is among the best in the UK. Liverpool City Region’s Visitor Economy is now worth £4.3 billion. Last year, hotel occupancy levels in Liverpool witnessed a 2% increase. Visitor numbers increased in Liverpool by 2% to 34.8 million in 2016. Regional hotels are currently outperforming London’s market. £26.5 million was invested in hotels in Liverpool in 2016. Exclusive Hotel Suite Property Investment from just £109,950 / S$198K!! 10% Assured Rental per annum for 10 years! 1st Roof Top Pool and Bar in the City. Located in L1 City Centre and Liverpool’s Southern Waterfront Regeneration District. Within the most exciting and fast growing Baltic Triangle – a historic city central area with distinctive rich heritage and historic character, a home to Liverpool’s Digital and Creative Industries and a thriving nightlife destination. Latest figures show Liverpool City Region’s Visitor Economy is now worth £4.3bn, last year welcomed over 62m visitors to the region and supports over 51,500 jobs in 2016. Liverpool also moved up the rankings to become the 5th most visited destination for overseas visitors – this is supported by hotel occupancy data which shows that last year there was a near 2% growth. Own one of UK’s Best Managed Income Generating Asset with No Stamp Duty, No Service Charge. Near to Bold Street – where you’ll find some of Liverpool’s best independent shops, bars and restaurants. Close to RopeWalks – A thriving hub of new start up businesses. BALTIC TRIANGLE | Home to Liverpool’s Creative Industries and a thriving nightlife scene. The Baltic is probably one of the most exciting and fast growing areas of Liverpool; once the well-worn factory and workshop of the city back in the slave trade of the 1800s, now a thriving and cutting-edge destination that is at the heart of the Independent Liverpool scene and is home to a number of digital and creative businesses. LIVERPOOL ONE | Liverpool’s Number One Shopping Destination with just a 10 minute walk away. Liverpool One is home to over 200 retail units, 500 apartments, 2 hotels, 25 restaurants, 4 commercial office buildings, 2,000 car parking spaces, a cinema and bus interchange. LIME STREET STATION | The main station connecting Liverpool to every corner of the UK, with a future new direct train to Scotland. HOPE STREET | With two Cathedrals, at either end to explore, an award winning theatre, art deco concert hall along with a wide range of independent restaurants and bars is just a 10min walk away. BOLD STREET | One can find some of Liverpool’s best independent shops, bars and restaurants. ROPEWALKS | A thriving hub with many new start up businesses and always bursting with art, music and culture. Elliot Group Based in Liverpool, the UK’s fastest growing economy, It comes with a global reputation. Experts in designing and building outstanding investment opportunities in the high-growth city centre real estate, with flagship developments in Liverpool, Manchester and Leeds. The developer has established long-lasting relationships with some of the industry’s leading companies. Infinity Waters is the 20th large-scale project of the developer. With an exceptional knowledge and experience of location and property markets, its a leading brand in the catalyst for change in redefining the Liverpool landscape. [/vc_column_text][vc_column_text]Situated just 300 metres from Rama 9 MRT Station and 600 metres from the Airport Link, Life Asoke Hype is one of Bangkok's most eagerly anticipated new development launches this year, and is located in the heart of the City's fast emerging New CBD, headquarters to multinational companies and home to world renowned shopping centres like G Tower, Central Plaza Rama 9. It is also opposite upcoming Super Tower (a new landmark in Bangkok) - claimed to be the tallest tower in South-East Asia. Comprising 1,253 FREEHOLD condominium units, Life Asoke Hype standing tall at 40th Stroey is poised to become a major residential landmark in Bangkok's New CBD when completed in early 2022. The development will also include carparks, equivalent to 40% of the residential units. Residents at Life Asoke Hype will enjoy world class facilities including pocket gardens, huge roof top common areas, a professional gymnasium, 3 infinity-edged swimming pools, a sky bar, and large co-working areas with WiFi connection throughout. Why Invest/Buy Life Asoke Hype near Makkasan Transportation Hub? [/vc_column_text][vc_column_text]Situated just about 300 metres from Rama 9 MRT Station and 600 metres from the Airport Link, Life Asoke Rama 9 is one of Bangkok’s most eagerly anticipated new development launches this year, and is located in the heart of the City’s fast emerging New CBD, headquarters to multinational companies and home to world renown shopping centres. [/vc_column_text][vc_empty_space height="2px"][vc_column_text]The Infiniti Riviera Point, at the heart of district 7 enjoys a 500 metres frontage of the Ca Cam River and will feature 2,400 waterfront apartments and recreational facilities, offering luxurious waterfront living right next to the commercial centre of Phu My Hung, an established residential township. Riviera Point is jointly developed by Keppel Land and Tan Truong, leading developers from Singapore and Vietnam. The development is 1-minute to Riviera Point Mall, a four-storey shopping mall, retail shops and restaurants by the riverfront offer unique shopping and dining experiences. The riverfront promenade offers a variety of shopping and dining choices. It is also within walking distance to four international schools, the Royal Melbourne Institute of Technology, Franco-Vietnam Hospital as well as established commercial buildings and restaurants in Phu My Hung. The development will feature residential towers above a podium, and infinity pools overlooking the river and the commercial centre of Phu My Hung. A retail and food and beverage belt will be developed along the river promenade, allowing for al'fresco dining. A world of amenities awaits at your doorstep. The nearby Crescent Mall is accessible by an upcoming link bridge, while SC Vivo City and the Saigon Exhibition Convention Centre are all within easy reach. Riviera Point is also in close proximity to prestigious international schools including the British Vietnamese International School and the Royal Melbourne Institute of Technology. The Franco-Vietnam Hospital is also just a 10-minute drive away. • 17.8 kilometres long and 120-metre wide parkway passes through entire Saigon South. • Become the artery to transport goods from HCMC to the Mekong Delta and opened a new opportunity for HCMC Southern expansion according to the approved plan. • Streets in a grid system: The 17.5m~48m streets are organized in a grid system that provides this efficient movement. - A center for international finance, trade, accommodation, entertainment, cultural, scientific, high technological and tourism development in Vietnam. - A city of projected population up to 10 million people over the next decade. 11 Reasons Why Riviera Point? 7) Natural ventilation makes the unit cool and comfortable. 6 Main Reasons to buy The Infiniti Vietnam Saigon? Get priority and be the first to view our launch! 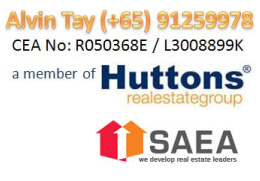 Whatsapp +65 91259978 for Floor Plans/eBrochure/Developer’s Discount! future. Today, it is a landmark of a vibrant neighbourhood that bridges our past to our future. Stake your claim at the epicentre of four key growth areas, where rising developments are gradually transforming the vicinity. Paya Lebar Central will comprise a wealth of recreational, commercial and retail options. The Geylang Serai rejuvenation project will include a new civic centre for art and community events, alongside an exhilarating foodie experience that integrates old-world charm with new-age chic. 64-hectare lifestyle hub, complete with venues for water sports. markets. Oxley is listed on the Main Board of the SGX-ST and has a market capitalisation of approximately S$2.12 billion. As part of its strategic expansion, the Group has also entered into partnerships with reputable local and overseas developers as well as business partners. In 2013, the Group acquired a 20% stake in Galliard (Group) Limited, a leading property developer in the United Kingdom. Galliard (Group) is a property development, hospitality and management group overseeing a wide variety of developments across London and Southern England. Since then, Oxley has also acquired a 40% stake in Pindan Group Pty Ltd, an integrated project group based in Western Australia, and an 15% stake in United Engineers, a Singaporean property development and engineering company that was founded in 1912.
located at Serangoon North Avenue 1 (former Serangoon Ville). Developed by reputable developers, a consortium led by Oxley Holdings Limited. Why Affinity at Serangoon ? or play time with friends and family, there’s plenty to keep you occupied. At the heart of the development, you’ll find glittering pools with islands of facilities,glittering pools with islands of facilities, perfect for gatherings. Or spend time with nature and explore the diversity of flora at the forest boardwalk. And of course, keeping fit is easy to do when you have a variety of fitness facilities as well as space aplenty to stretch, run, jump! For your convenience, there are also five retail shops on site. Located mere minutes across from Serangoon Gardens, AFFINITY is so much more than just a home — it is your key to a charmed life. an international selection of cuisines and schools, Serangoon Gardens has got it all. The amenities awaiting residents include Hougang One and Heartland Mall. At the heart of the development, you’ll find glittering pools with islands of facilities, perfect for gatherings. Or spend time with nature and explore the diversity of flora at the forest boardwalk. And of course, keeping fit is easy to do when you have a variety of fitness facilities as well as space aplenty to stretch, run, jump! Affinity at Serangoon Location is surrounded by everything you need including some of the Top Schools in Singapore such as Serangoon Garden Secodary School, Rosyth School, Xinmin Primary School, Xinmin Secondary School and Serangoon Junior College. part of the fabric of what life there is all about. yet evolves to meet future demands. Embraced by nature, tranquility, and a kampong spirit that exists few places else, the Nim Collection heralds an exciting new chapter in the rich story of Seletar Hills. in an ambitious masterplan, the Nim Collection offers more than a home. It’s a unique opportunity to mould the next chapter into a story that will shape generations to come. Why Invest/Buy The Nim Collection ? The Nim Collection offers an exciting new mode of Seletar living in a cluster of 47 landed terrace houses, representing Phase 1 of a two-phase, 98-unit development. A peaceful retreat from the urban jungle. A cosy life of modern comfort close to nature, surrounded by the area’s enduring charms. major expressways and transport links, life at the Nim Collection feels complete. At the Nim Collection, you’re in close range of a multitude of essential amenities. A variety of malls, including Greenwich V, AMK Hub, Waterway Point, Compass One and Seletar Mall, offer convenient access to retail outlets, supermarkets, eateries, banks and entertainment facilities. Enjoy the open space of a 100m-wide linear park that stretches along the front of the estate and joins with the nearby Ang Mo Kio Ave 5 Park Connector, a scenic walking and cycling route that extends northeast towards Punggol Park and Waterway. Every education level is catered for with primary and secondary schools, junior colleges, polytechnics and a private university in the surrounding area, making this an ideal address for families.